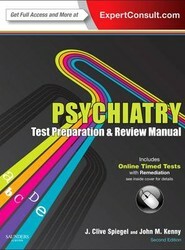 Covering every area of the ABPN board exam, the 3rd Edition of Psychiatry Test Preparation and Review Manual, by Drs. J. Clive Spiegel and John M. Kenny, includes 1,100 questions, video vignettes, and an online timed assessment to prepare you for certification or recertification success. 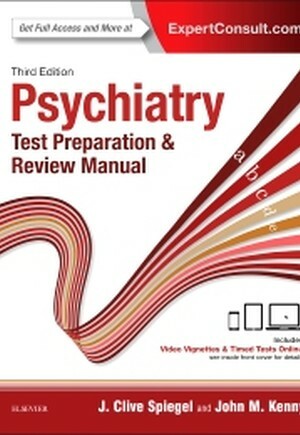 You'll know exactly what to expect when exam day arrives, thanks to current coverage of the latest research in both psychiatry and neurology, as well as a format that precisely mimics all aspects of the written exam.